Texas will be further represented in the Smithsonian by an iconic group of women: The Dallas Cowboys Cheerleaders, who donated uniforms to the National Museum of American History. “There’s probably not another word [for] what each one of these artifacts are, other than iconic,” Charlotte Jones Anderson, chief brand officer for the Cowboys and daughter of owner Jerry Jones, said at a Monday event, CBS’s Dallas affiliate reported. Anderson, along with several cheerleaders and their director and head choreographer, traveled to D.C. to make the donation. Republican Rep. Roger Williams of Texas attended the event. The women handed over a uniform from the 1980s, which features the notable blue sequins and white go-go boots. 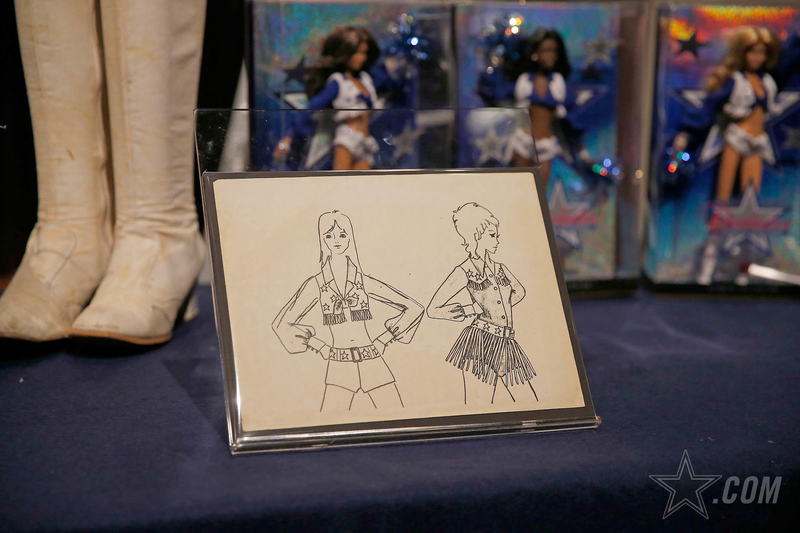 Other items include a set of pom-poms, Cowboys Cheerleaders Barbie dolls and a copy of the first poster to feature a National Football League cheerleading team, which the Cowboys released in 1977. “The Dallas Cowboys Cheerleaders raised the bar for NFL cheerleaders in the 1970s, using athleticism and a strong sense of self to set the standard for what an organization of empowered women can accomplish in today’s society,” Jane Rogers, associate curator in the museum’s Division of Culture and the Arts, said in a news release. The original squad, called “CowBelles & Beaux,” was founded in 1960 during the Cowboys’ first season, six years after the first NFL cheerleading squad was established for the then-Baltimore Colts. Like other squads of the time, the CowBelles & Beaux was made up of local high school students. Democratic Rep. Eddie Bernice Johnson, who represents downtown Dallas, said she has been a fan since the beginning. “I have witnessed the transformation and growth of the Cowboys cheerleading team over the years and it has been remarkable,” she said. In 1969 the team adopted “Dallas Cowboys Cheerleaders” and men were dropped from the squad. The cheerleaders had to be over the age of 18 by 1972, when they began sporting their signature revealing look on the sidelines. Since then, the uniform has been modified six times to make small tweaks, like adding crystals to the vests and a large buckle to the belts. Johnson said the cheerleaders have risen above stereotypes. “I believe the Dallas Cowboys Cheerleaders have always carried a beautiful, unique spirit, because they, unlike other teams, capture the hearts of those beyond their fan base. Their dedication in serving the Dallas community, Texas and our military set a high standard in social responsibility and engagement,” she said. The donations will not immediately be on display, USA Today reported. An exhibition is in development that is expected to open in 2020, which will feature items from the museum’s sports, music, theater and entertainment collections. Other cheerleading artifacts on display at the museum are also from Texas — from the Greenville High School Flaming Flashes and the Kilgore College Rangerettes, dance teams that date back to the 1930s.